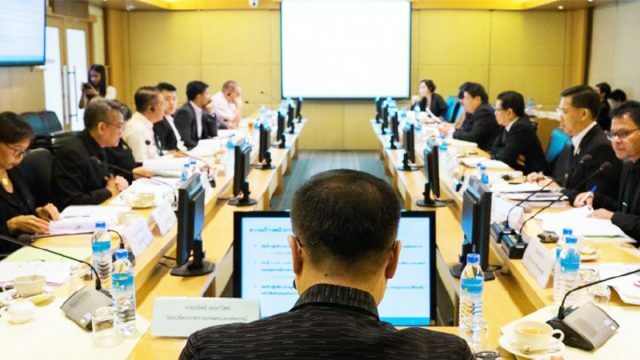 Bangkok, 17 July 2018: Thailand’s Ministry of Agriculture and Cooperatives, Ministry of Natural Resources and Environment, and Ministry of Finance are entering into cooperation to support 100,000 rice farmers towards greenhouse gas (GHG) emissions reduction. 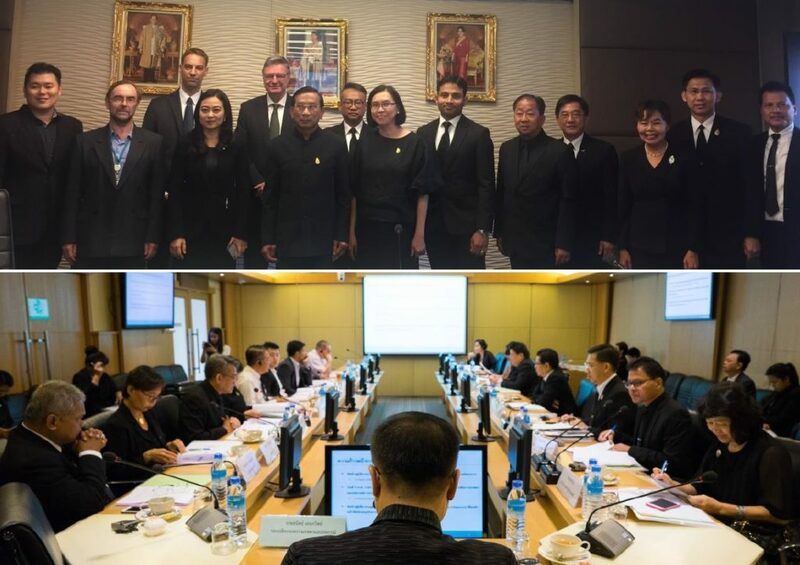 The NAMA Facility, a multi-donor climate finance facility, has granted its approval to finance the 5-year implementation of the NAMA Support Project “Thai Rice NAMA”. Top: Policy Advisor Committee Meeting, during the Thai Rice NAMA detailed preparation phase, chaired by General Chatchai Sarikulya, Minister of Agriculture and Cooperatives, Thailand. Bottom: Project Steering Committee Meeting during the Thai Rice NAMA detailed preparation phase, chaired by Dr. Thanit Anekwit, Deputy Permanent Secretary for Agriculture and Cooperatives, Thailand. Thailand’s Second Biennial Update Report under the United Nations Framework Convention on Climate Change revealed that agriculture is Thailand’s second largest GHG emitting sector, with rice production accounting for almost 55% of emissions from agricultural activities. From the report, Thailand is the 4th largest emitter globally of rice-related GHGs – mainly methane. Currently, a lack of incentives for farmers hampers a transition towards low-emission rice cultivation. Farmers themselves are unable to invest in capital-intensive practices, therefore service providers for mitigation technology in production are needed. The lack of national standard which covers social and environmental issue as well as large scale incentive mechanism for the rice value chain makes GHGs reduction more difficult to achieve. Low-Emission Rice Production Technology: The project will train farmers on how to implement mitigation technologies and sustainable best practices in rice production, as well as encourage farmers to switch practices based on the establishment of a Revolving Fund to cover startup costs for mitigation service provision. This will generate more income by applying appropriate technologies and effective management for agricultural inputs (saving water used and energy for pumping water, fertilizers, pesticides, etc. ), and facilitating sale of low-emission rice to the growing market for sustainable rice. 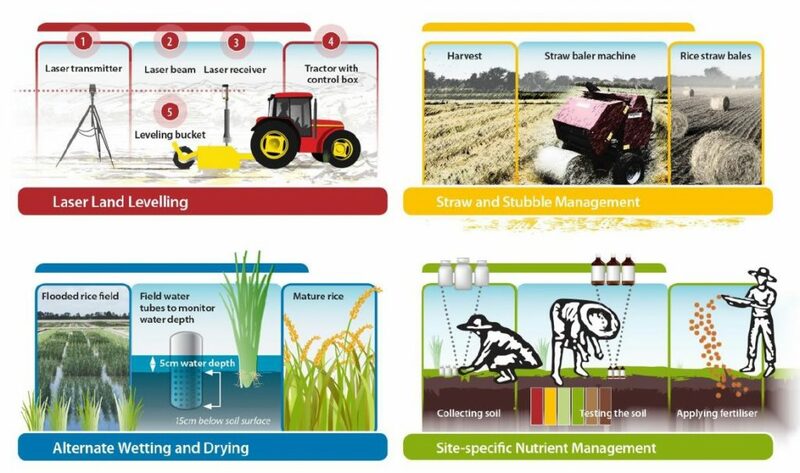 Mitigation Technology Services: Support business development by leveraging a national green credit program for capital investment to provide mitigation technology services to farmers such as land laser leveling, alternate wetting and drying, site-specific nutrient management, and straw/stubble management. Policy Formulation & Supporting Measures: Support project implementation, develop a model and expansion strategy, develop Sustainable Rice Practice standard based on Sustainable Rice Platform (SRP) Standard, and integrate the project into the Thai government’s workplan, projects and budget at all levels. Mr. Anan Suwannarat, Rice Department Director General stated that “Thailand’s Rice Department (RD), under the Ministry of Agriculture and Cooperatives (MoAC), which is a member of the National Committee on Climate Change, is the main implementing agency for the sustainable development of the rice sector. The RD will participate and coordinate the implementation of the Thai Rice NAMA”. 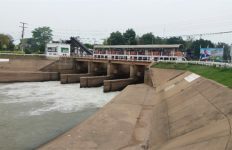 The project will work with farmers and farmers’ associations in six provinces in the Central Plains of Thailand in shifting from conventional to low-emission rice farming, and promote its replication on a national scale. With support from International Rice Research Institute (IRRI) in calculating GHG emission reduction potential, the annual mitigation potential of low-emission rice cultivation is estimated to reduce baseline emissions of irrigated rice by almost 29% in the project’s fifth year when 80 percent of 100,000 target farmer households have adopted the basic mitigation practices. The NAMA Facility Board has granted its approval to finance the implementation of the NAMA Support Project ‘Thai Rice NAMA’ and has committed up to EUR 14,900,000 for its implementation. In line with the proposed implementation structure, the NAMA Facility Board mandates the Deutsche Gesellschaft für Internationale Zusammenarbeit (GIZ) GmbH with the implementation of the NAMA Support Project. Jointly established by the German Federal Ministry for the Environment, Nature Conservation, and Nuclear Safety (BMU) and the UK Department for Business, Energy and Industrial Strategy (BEIS), and co-funded by the Danish government and the EU Commission. It provides financial support to developing countries and emerging economies that demonstrate leadership on tackling climate change and that want to implement transformational country-led NAMAs within the global mitigation architecture. 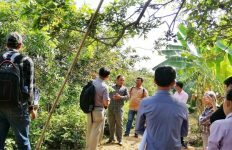 The Thai Rice Department has the vision “To be a leading organization in rice research and development, enhancing productivity, and building long-term capacity for farmers”. The Department aims to enhance rice productivity and quality, build capacity for farmers and farmer organizations, develop basic infrastructure and machinery for rice production, promote rice value addition, processed and by-products, and research and develop integration model of production, processing, and packaging. The International Rice Research Institute (IRRI) is a dynamic, rapidly evolving organization focused on solving complex global problems through vibrant, rice-based agri-food systems. IRRI’s mission and purpose remain clear: to improve the quality of life of those who depend on the rice sector—from the ultra-poor to those moving up the development ladder—and the environmental sustainability of rice production systems. 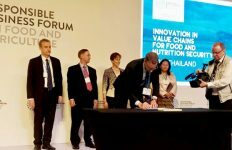 Co-convened by UN Environment and the International Rice Research Institute, the Sustainable Rice Platform is a global multi-stakeholder alliance that promotes resource-use efficiency and sustainability in the global rice sector. SRP and its 87 institutional partners aim to encourage one million farmers to adopt climate-smart sustainable best practices by 2021, as an active contribution to the UN Sustainable Development Goals. Owned by the German government, the Deutsche Gesellschaft für Internationale Zusammenarbeit (GIZ) GmbH provides services in the field of international cooperation for sustainable development. GIZ also works on behalf of other public and private sector clients both in Germany and overseas, including the governments of other countries, the European Commission, the United Nations, the World Bank and other donor organizations. GIZ operates in more than 130 countries and employs approximately 17,000 staff worldwide.